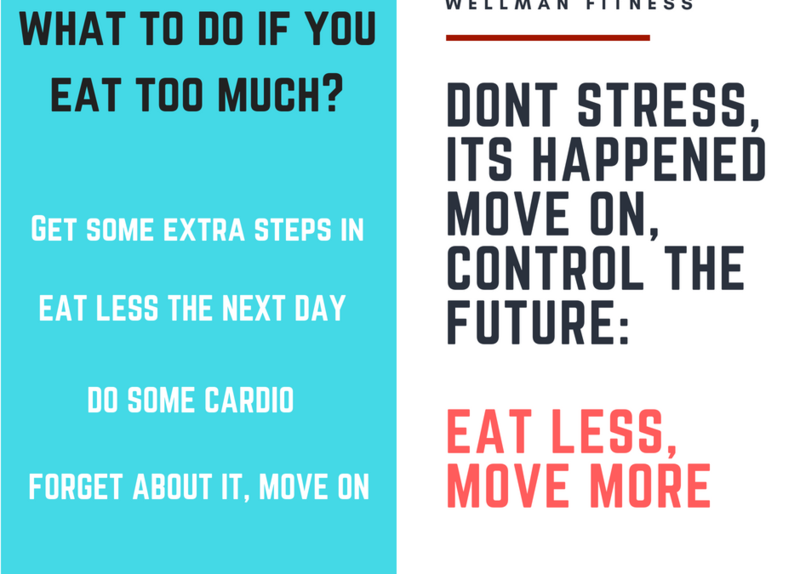 ✅ Increase steps – Move more. Remember, walking at only 1mph will double your energy expenditure over sitting. ✅ Eat less the next couple of days – just eat a bit less over the next few days, remember its about your weekly calorie intake, not daily intake.